You reading this article: repent! What was your gut feeling when you read the sentence above? Were you convicted? Did you have a feeling of disgust? Or felt nothing? A couple of years ago, I received an e-mail from a sister. By now I have completely forgotten everything in the e-mail except for the last line – “You shall repent!” The reason that sentence sticks in my mind was that I had quite a strong feeling of disgust when I read it. My thought was: “There are so many nice things she could have written to her brothers and sisters in Christ. Why did she have to ask us to repent? After all, she was writing to Christians who have repented, right?” Today, by the grace of our merciful God, I understand why she said so. You have admitted that you have sinned during the past 24 hours, probably more than once. You see the selfish desires and thoughts in your heart. 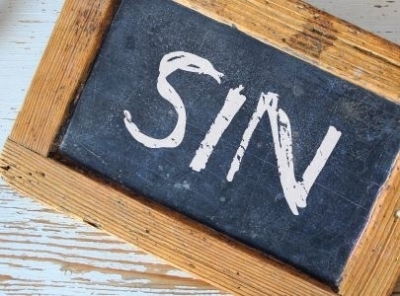 I believe that you want to be freed from sin – total renunciation of sin. “What shall we do?” The answer is “Repent…” (Acts 2:37, 38) Naturally the next question is: How? The Lord has given us a clear answer: “The God of our fathers raised up Jesus…Him hath God exalted with his right hand… to give repentance to Israel...” (Acts 5:30, 31) It is the Lord Jesus who gives us repentance. So what can we do other than praying constantly for a repenting heart? Through Paul God says: “…not knowing that the goodness of God leadeth thee to repentance?” (Romans 2:4) Not wisdom, not power, not justice, but the “goodness” of God leads us to repentance. Then, how do we know and experience the goodness of God? First of all, the work of repentance is the working of the Holy Spirit. He “reveals the ingratitude of the heart that has slighted and grieved the Saviour, and brings us in contrition to the foot of the cross.” Do you know that the Lord died for you? You might think “Isn’t that the most fundamental fact known to every Christian?” But the Lord says: “Such mourning will lead to the renunciation of sin.” Remember the sins you committed during the past 24 hours? OK, ask yourself again: Do I know that the Lord died for me? That’s right! What we can do is to “behold the Lamb of God upon the cross of Calvary.” So other than Bible study, praying, Christian fellowship and intentionally seeking God’s refreshingfrom nature, is there any other way to “behold the Lamb of God”? Thanks be to the Lord that He has given us clear and practical answer: “It would be well for us to spend a thoughtful hour each day in contemplation of the life of Christ. We should take it point by point, and let the imagination grasp each scene, especially the closing ones. As we thus dwell upon His great sacrifice for us, our confidence in Him will be more constant, our love will be quickened, and we shall be more deeply imbued with His spirit. If we would be saved at last, we must learn the lesson of penitence and humiliation at the foot of the cross.” (83.4) Your reaction might be similar to mine: “What? One hour each day to contemplate the life of Christ? That is way too much! I read the Bible and pray every single day. And I go to Bible studies three times a week. There’s a lot of God’s work waiting for me to be done…” One has said “Do not forget ‘the Lord of the work’ because of ‘the work of the Lord.” After all, this is the method appointed by Jesus Himself, right? In addition to contemplation, the Lord has another merciful revelation: “We cannot by searching find out God, but He has revealed Himself in His son, who is the brightness of the Father’s glory and the express image of His person. If we desire a knowledge of God we must be Christlike… Living a pure life through faith in Christ as a personal Saviour will bring to the believer a clearer, higher conception of God… The qualities that it is essential for all to possess in order to know God are those that mark the completeness of Christ’s character – His love, His patience, His unselfishness. These attributes are cultivated by doing kind actions with a kindly heart.” (TMK 9.2 & 9.5) This is also God’s appointed way for us to know Him.